Who has the right MIND to win the 144th Open Championship? 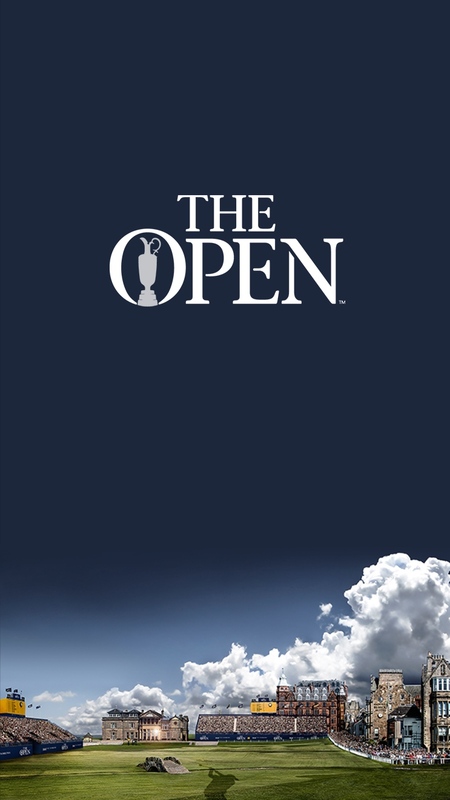 So, who will win the 144th Open Championship? Ordinarily, on a Sunday evening, the Champion would have been crowned and, many photographs later, no doubt be in the bar, celebrating their win… but not this year! Due to a rain delay, followed by a severe wind delay which wrote off most of the third day, the 2015 Championship will be decided, for only the second time, on a Monday. It’s interesting (and pleasing) to note, going into the final round there is a three way tie for the lead, with one of those, Paul Dunne, an amateur. I’m sure his eye will be on the trophy, though any cash prize will go to the second placed person, should he win! The top three only lead by a single shot, with Current Masters and US Open Champion, Jordan Spieth in 4th place, two-times Open Champion Padraig Harrington in 5th place and a further 9 players, tied in 6th place, just three shots off the lead. When you consider that Paul Lawrie, in 1999 won The Open from 10 strokes behind on the final day, you could be looking at 70 players having a chance. Without any doubt, these guys can play! Technically, they are magicians with the ball, seemingly able to control the ball, hit high balls, low balls, balls that move left to right, right to left, depending on the shape of the hole and position of the flag… so will it come down to just getting lucky on the day? Well, we all need a little luck, but as I’ve said many times previously, you tend to put yourself in position to make your own luck in this world. Once you can play golf, as with many sports, it is mental strength that often defines your success. The player that truly believes he can win, is focussed on the win and can actually visualise himself lifting the Claret Jug will be the person that wins. There will be some that start to doubt themselves, not committing fully to the shot, not trusting their own ability… they will be the runners up. So who would you put money on? 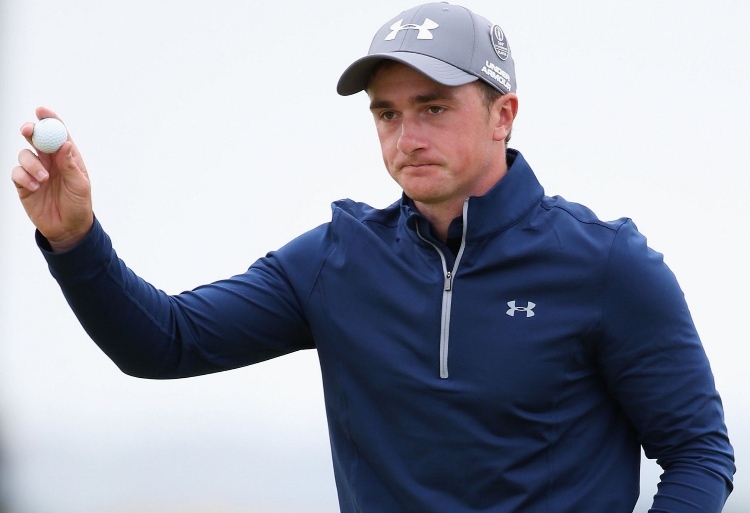 Paul Dunne, the Amateur from Ireland played a blistering third round and has only good memories… a surprise contender, he looks calm and confident in his ability. 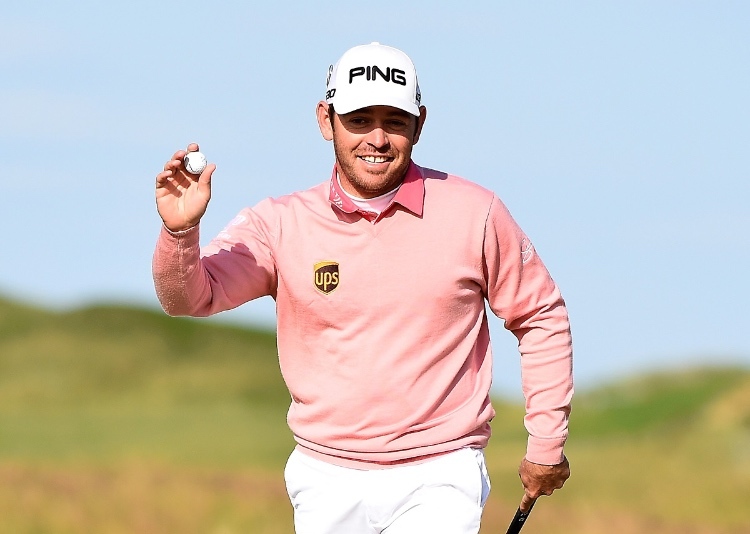 Louis Oosthuizen, an Open winner in 2010, again, knows how to get past the finish line but when he won five years ago, he had a reasonable lead going into the final round. 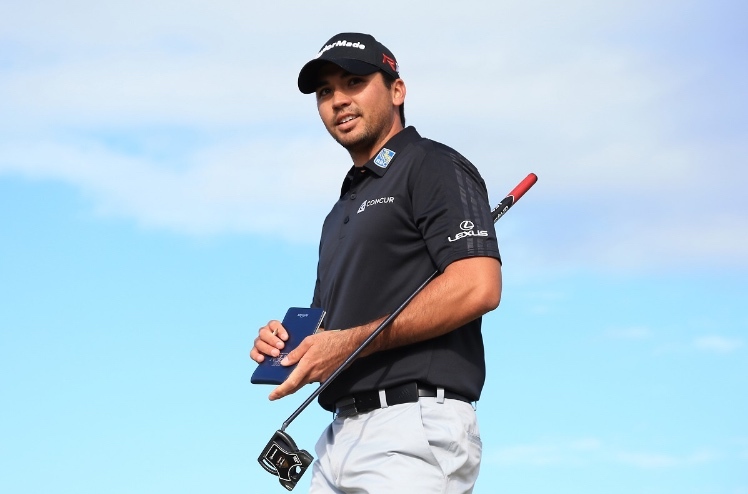 Jason Day, the Australian, is surely due a major win, having been runner up in several previous Majors, although that could work against him, if he believes he will only be a runner up. Jordan Spieth just HAS to be a favourite, going for the Grand Slam of Majors and only a fool would bet against him. His mental strength to cope with the pressure has been proven in both of this years earlier competitions. As an outsider, Padraig Harrington knows how to win, yet having been out of the limelight for a good few years, perhaps a third Claret Jug is a bridge too far? 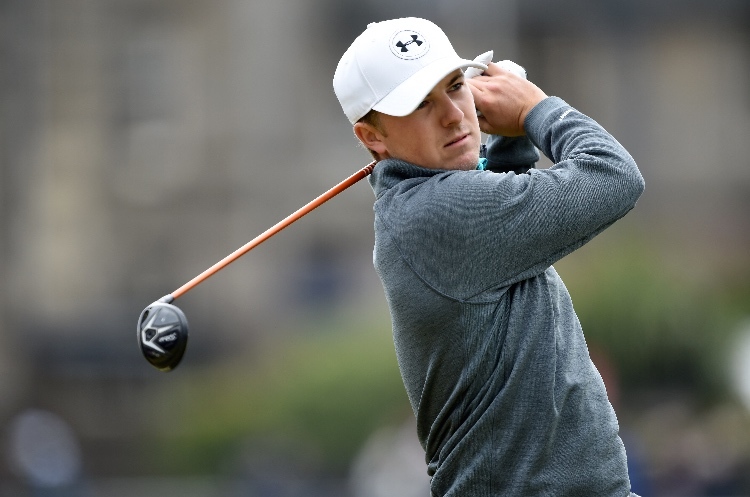 Jordan Spieth, Great mental strength has captured him The Masters 2015 and the US Open 2015. 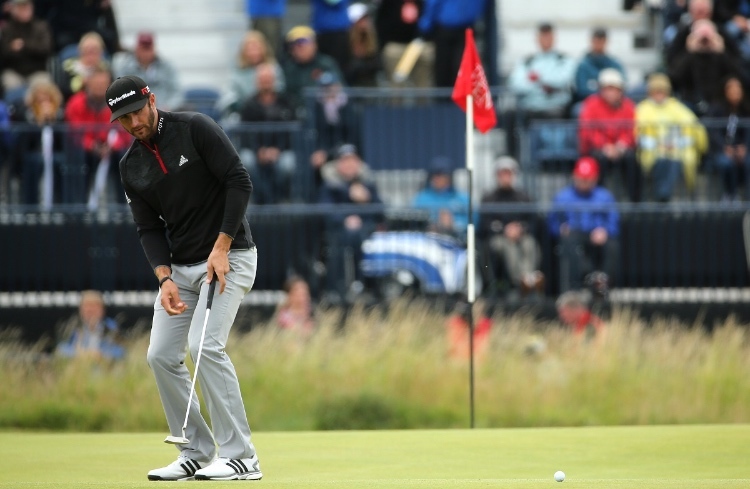 Dustin Johnson, leader of the first and second round saw himself fall to five shots off the lead, with three bogey’s over the final three holes of the third round. Dustin has been very close in a number of Major’s, yet, has made sloppy mistakes and seems fragile and unable to finish off the job, a true sign that he doesn’t have the mental strength. I believe he deserves a Championship and will achieve it one day, but I doubt 2015 is his year. Dustin Johnson, a fantastic player with the ability to boom drives down the fairway.. but maybe lacking in mental strength for him to finish the job? With technical ability not in question, who do I expect to win? Jordan Spieth would be my tip, with a close second, Louis Oosthuizen and Paul Dunne. Watch out for Justin Rose, as an outside bet though.. a technically gifted player and one that has proven mental strength. 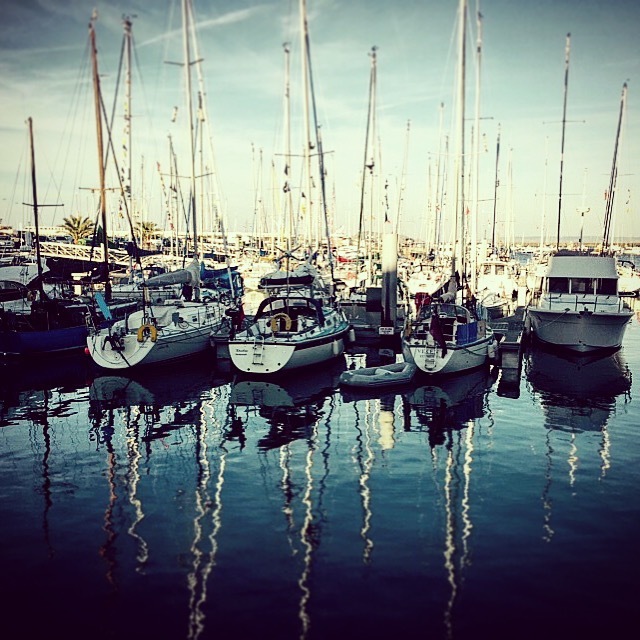 One thing I am sure…. this Open Championship will go to a play-off! For more information and workshops that can increase your OWN mental strength, either in sport, work or personal life, DO drop us a line! How much do we want to actually learn? 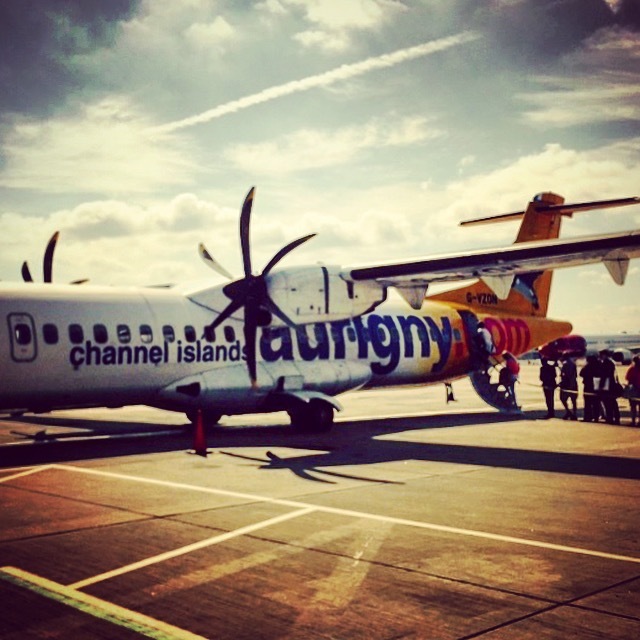 I was fortunate, recently, to be able to travel to Guernsey, working with Aurigny Airline. My involvement was to join the back-end of a five day Train the Trainer workshop, hosted by a good friend of mine, Fleur Johnson, from Insight Solutions Consulting Group. It was the first time in Guernsey for me, and I got to experience the short flight from London Gatwick in the ATR aircraft, a great deal smaller than the aircraft I would normally take from Gatwick! 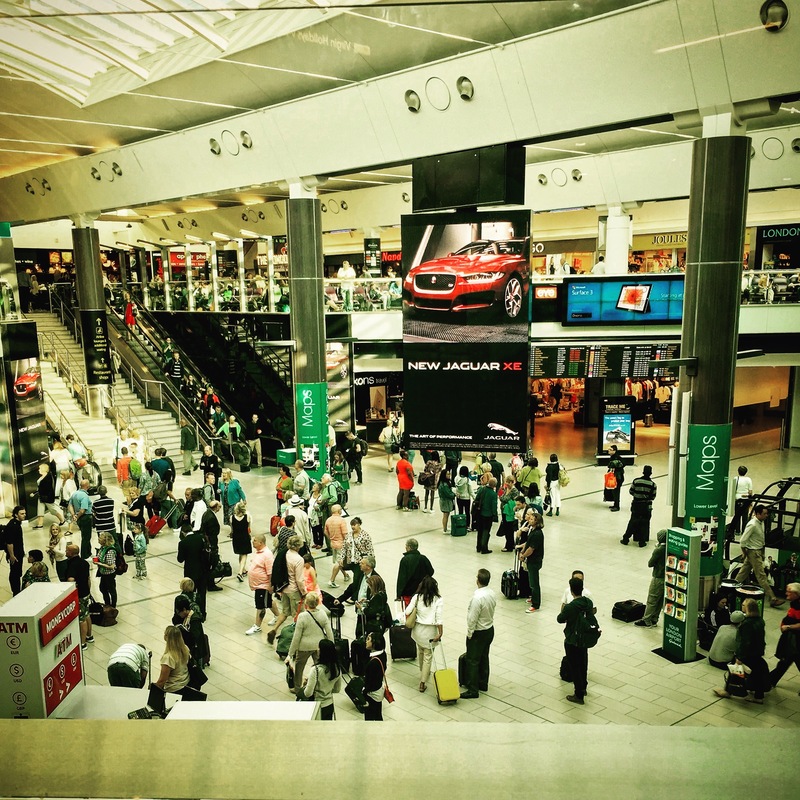 Gatwick South Terminal, busy people, off to different parts of the world, all with their own agenda. Following a pleasant crossing, slightly delayed, due to a fog-bound Guernsey I arrived and without further delay met the team we were working with. Of course, having worked with the group for three days already, they had bonded well and I was interested to find out how they would react to a ‘new’ member joining the team. Whilst I was there to deliver parts of the workshop and undertake feedback sessions on the final day, as always, I was determined to further my knowledge of the airline industry (having worked with different airlines for over 15 years). Remember, we are always learning no matter how much we think we already know. So what did I learn? 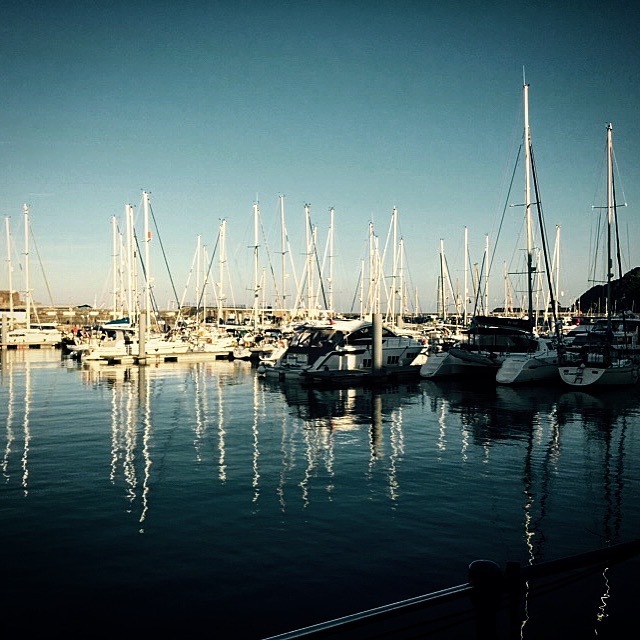 A Top Six Learning Points from my time in Guernsey (in no particular order)! How much does an aircraft weigh? Got that? Now, add on a load of passengers (of varying weights), luggage, crew, food and drink, fuel… and anything else you care to add… because we need to know this, in order that the aircraft is ‘light’ enough to effect a take-off.. AND… to land safely. How many of us would even consider this, when we are queuing at the airport, on our return from holiday.. with those little extra’s in our suitcase. Such is this calculation, that if the aircraft is painted as part of its maintenance, then that has to be noted also! When you think about it, thats a colossal additional weight. Consider how much paint would be needed to re-paint an aircraft (bearing in mind, the original coats are still on the plane) and then consider how much a can of paint actually weighs when you collect it from your local DIY store! Thanks Travis, for always getting the calculation right! 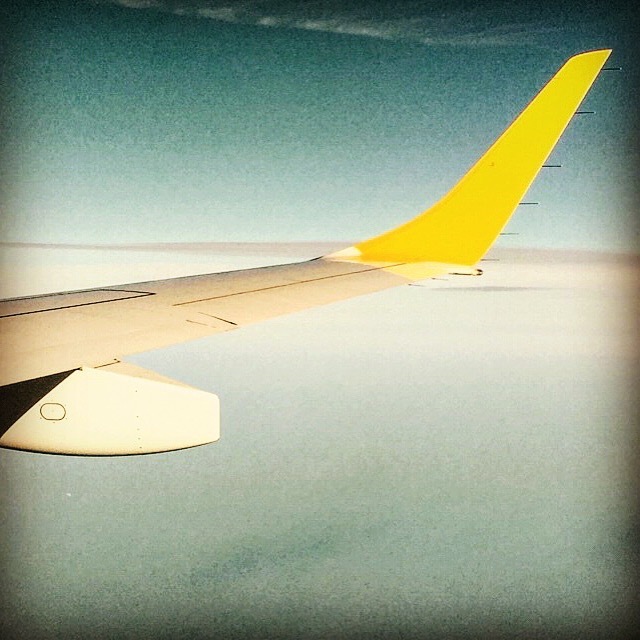 What happens if you are on a flight and you become ill? Not just unwell, but something serious, such as a heart attack? Defibrillation equipment is carried on all of these flights together with trained staff… but how’s this for a few facts:- In Europe, every 45 seconds, a cardiac arrest takes place. That sounds like an awful lot of people, but relate it to how many people are in Europe. With intervention, early resuscitation and prompt defibrillation, within 1-2 minutes, a greater than 60% survival rate can be achieved. Thanks Monika for raising our awareness and making us feel a lot safer. It’s always important to have all bases covered and I’m always impressed by the amount of safety procedures we have, but I have to admit, knowing how much Oxygen is stored on a plane, even a relatively small passenger plane, such as the ATR or the Embraer Jet, in emergencies or times of decompression makes us all feel comfortable. As we know, safety is paramount and I’ll confess to always watching and listening to the safety instructions from the flight crew, regardless of how many times i’ve seen it. Thanks Faye, for your training session, together with some new phrases I learnt! 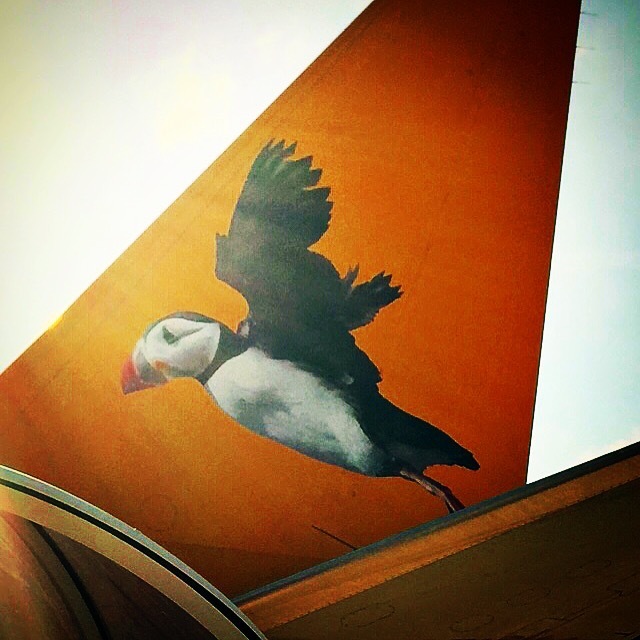 Ever wondered, when you’re sitting on the plane, ready for take-off… what those guys and girls are doing, walking around the plane in their Hi-Viz jackets? Well again, they are there for your safety, making sure there is no damage, ensuring everything is in order and carrying out a procedure that most of us take for granted. Who’s in control of the plane during this time? Well most would say ‘The Pilot’, but it is in fact the ground crew, standing on the terra firma, during the ‘pushback’ procedure… once the plane is then ready to taxi to the runway.. The Pilot takes control. Thanks Rob for passing on your knowledge and you’re right… you wear the Hi-Viz well! Finally, again on the theme of safety, how important is it that EVERYONE carries out their job, to the best of their ability and leaving nothing to chance? Mike took us on a journey around the world, in particular the middle east, and highlighted the National Air Cargo’s Boeing 747-400 freighter crash in Afghanistan, that many will have seen on You Tube and rather than jumping to conclusions that because it was in Afghanistan, it was the subject of terrorist activity or military intervention.. the most probable cause was that a heavy item of cargo was not secured properly, thus becoming unstable. For want of a simple procedure, the crew lost their lives. What a responsibility… but this of course is not just limited to the aviation industry. So you see, even though I was in Guernsey ‘training’, as always it’s a joy to increase my own knowledge. Basic, little things, that we take for granted, or, more realistically, don’t even think about as they possibly may never affect us, directly… (until something goes wrong)! St. Peter Port Harbour as the sun starts to fade. You really can’t go to St. Peter Port, Guernsey, without sampling the Surf & Turf in ‘Mora’! 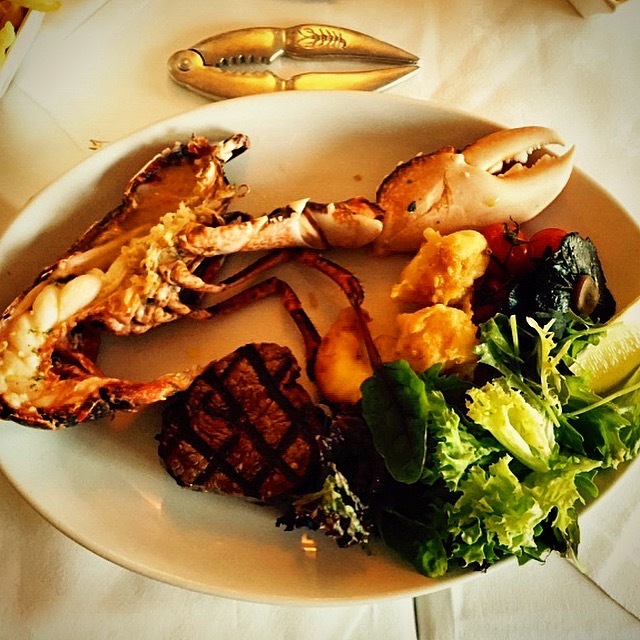 Fillet Steak and Lobster.. Luscious! You never know, what you don’t know… just think about that for a while. Put this into the real world situation, of everyone’s busy schedules and whilst you’re undertaking your chores and work, why not glean some additional knowledge. You’ll never know when you may possibly need it? The late Steve Jobs, co-founder of Apple attended Caligraphy lessons, just because he found it interesting… but of course, never needed it in his life. A good few years later, when the initial font-types on computers were being thought over, there was Jobs, with his knowledge of different styles. He refers to it as ‘joining the dots’, but you can only join the dots looking back, not forward. For more information and workshops that will be useful to your life, simply drop us a line. The ROLIS instrument took a snapshot of comet 67P/CG as Europe’s Philae lander descended toward the surface on Nov. 12, 2014. So has anyone else been captivated by the recent events concerning the Rosetta Space Mission? I mean, just consider that the launch date goes as far back as March 2004, when a certain Mr Peter Andre was number one in the charts with ‘Mysterious Girl’! What was the point of the mission? To rendezvous with Comet 67P/Churyumov-Gerasimenko and undertake a lengthy exploration of a comet at close quarters to watch how it is transformed by the warmth of the Sun along its elliptical orbit. Now, when you take into account, the journey to the comet alone would take over 10 years, that the mission was ‘put into hibernation’ to conserve energy and would be ‘woken’ at an arranged date when it moved closer to the sun and was warmed by the suns rays, that the comet was 317 MILLION Miles from earth and that the comet is travelling at 34,000 mph… to land a ‘washing machine’ sized probe (Philae Probe) is truly AMAZING! Already data has been sent back, including pictures which will give mankind even more information about our solar system. A comparison has been made that it was like a fly landing on a fired bullet! Some will say… what is the point (when you consider that the mission has cost over $1 billion, but then, you can always argue… what is the point of anything, people will always have opinions and opinions are what makes the world go round! Whether you agree with the mission or not, you cannot fail to be impressed with the vision. 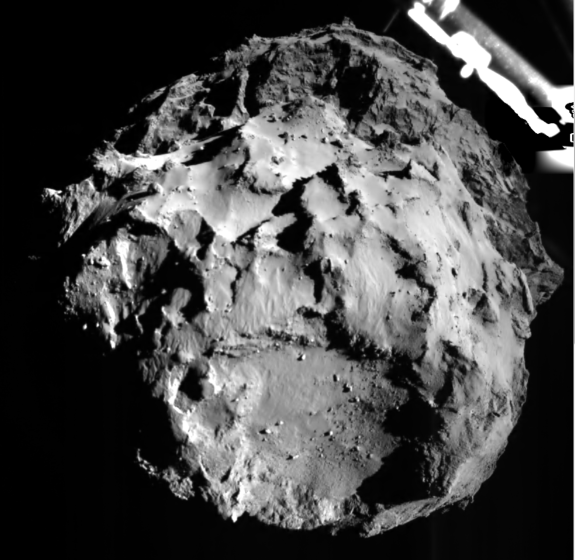 I mean… who would have ever dreamt up the fact of landing a probe on a speeding comet? (Well, we can all dream), yet who would have this dream/vision but actually have the commitment to see the mission through? Too often, I, and no doubt you, hear that ‘This is impossible’ or ‘That is impossible’… and once the words have been said (even if this is in our minds, talking to ourselves) it gives us the right to give up. If you are that determined, then this mission alone should give you all the motivation that you need to discover, whatever life may throw at you, that there is normally a way. It may not happen instantly, it may take years of planning and there will doubtless be risks and potential problems involved. Even after all the meticulous planning in the world, it is very possible that the outcome was not what was originally visioned, (as in the case of the Philae Probe, where it appears that the landing on the comet has left the probe in a crater’s shadow thus not allowing the sun to recharge the solar panels. It is currently in ‘hibernation’ and will await recharging, when and if, the probe can absorb some sun energy). Next time you have a dream, and people tell you it’s impossible… give them the Rosetta Space Mission Story!…. Just like the Philae Probe…To be continued! 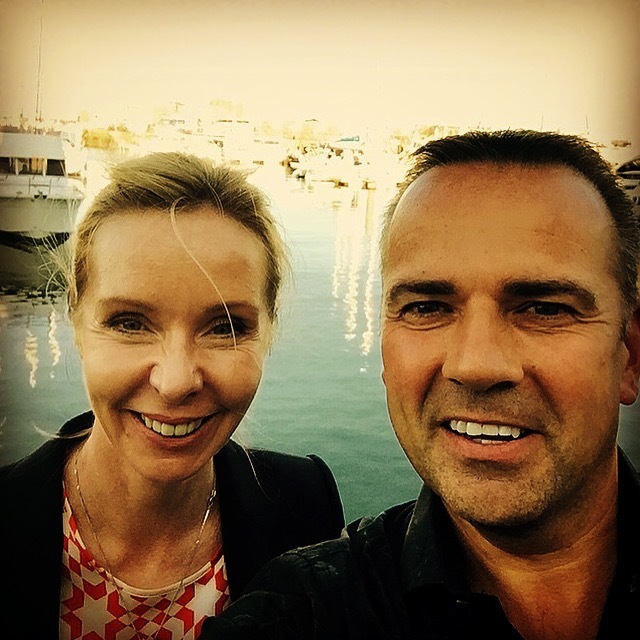 All you ever need to know about training and people development…. then you have found IMD (UK)… simply gives us a call! What would have happened… If? Ever thought what direction your life would take if you weren’t doing what you are doing right now? As the late Steve Jobs of Apple said, a good few years ago… ‘You can only join the dots of your life, looking back’… but just imagine, if you had made that decision, or changed your career path all those years ago? Where would you be now? The fact is, you are where you are, right now, but that doesn’t always mean that your path is pre-determined from this moment on. I was recently reminded of that quotation ‘The best time to plant an apple tree was twenty years ago… the next best time is now’! How very true that is. 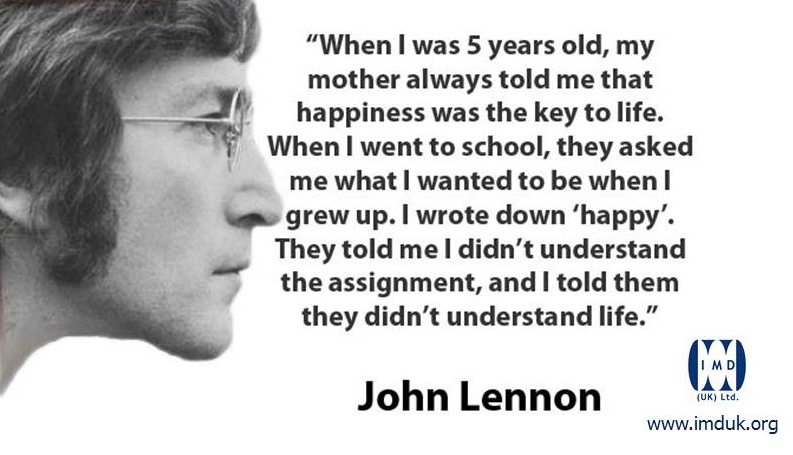 As I write this, I am reminded of John Lennon, assassinated in New York in December 1980 at the age of 42. Today, the 9th October would have been his 74th Birthday! Little did he know what was in store that day when he signed an autograph for Mark Chapman, although maybe Chapman new how his life would pan out with a murder charge on his head. I wonder how, nearly 34 years on, how the music scene would have possibly changed with Lennon’s influence over those years? Self Talk at its best! 15th September 1978, Muhammad Ali defeated Leon Spinks to win his 3rd World Title fight. Somehow, he just knew he was going to do it. 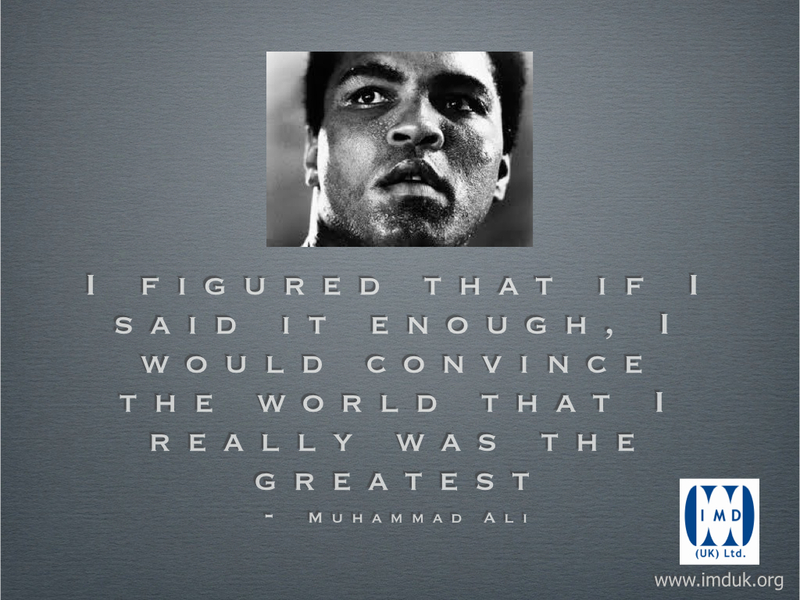 For more information about how we can help you achieve your own goals and aspirations, contact us NOW! How many business opportunities are turned down on a regular basis (and life opportunities), purely because we lack the confidence to carry it out or doubt ourselves that we have sufficient knowledge or skill to undertake the task? Take the opportunity and use it as a motivator, to learn a new skill or increase your knowledge. Can you imagine how impactful that could be? 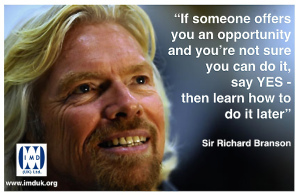 Next time an opportunity presents itself, grab it with both hands… and then go about increasing your knowledge or skill. Consider what resources you may need? If this is something that you’d like to investigate further, then be sure to watch out for our forthcoming workshop, where the focus will be on making you a far more confident person than, perhaps, you are at the present time. Contact us on 01277 821651 or simply email us on info@imduk.com to register your interest.